The Central Carolina Community College Medical Assisting Diploma Programs are accredited by the Commission on Accreditation of Allied Health Education Programs (www.caahep.org) upon the recommendation of Medical Assisting Education Review Board (MAERB). Commission on Accreditation of Allied Health Education Programs 25400 US Highway 19 North, Suite 158 Clearwater, FL 33763 (727) 210-2350 (www.caahep.org). 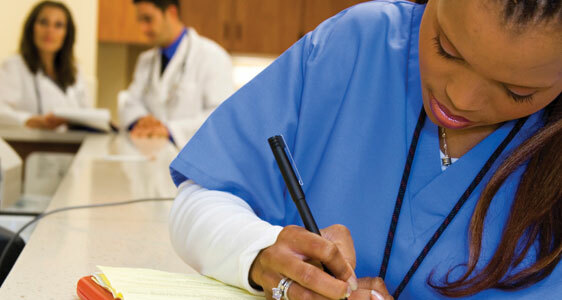 Graduates of CAAHEP accredited medical assisting programs may be eligible to sit for the American Association of Medical Assistants Certification Examination to become Certified Medical Assistants. Employment opportunities include physicians, offices, health maintenance organizations, health departments, and hospitals. Medical assisting program at Central Carolina Community College-Pittsboro (Chatham Campus) has a job placement rate average of 81% over the past five years. Medical assisting program at Central Carolina Community College-Lillington (Harnett Campus) has a job placement rate average of 80% over the past five years.